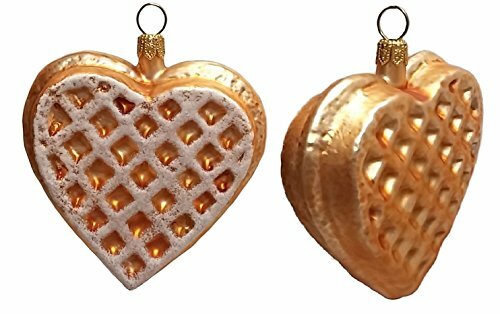 Heart Shaped Waffle Ornaments. Set of 2. Handcrafted in Poland. Hand-painted by Polish artisans. Made from mouth blown glass. Approximately 3 inches tall, 3 inches wide, and one inch deep . Includes original Pinnacle Peak Trading box and packaging. Imported by Pinnacle Peak Trading.